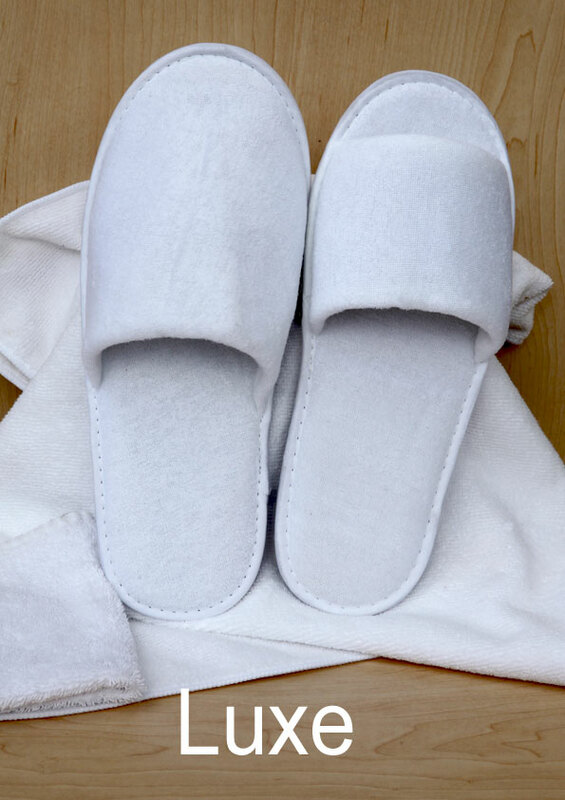 Disposable slippers, perfect for podiatrists, medical consultations and hospital examinations. Improve your office or hospital's image and level of hygiene while making sure to pay attention to your budget with these stylish and comfortable slipper sandals. The sole is made of a high quality, disposable black non woven material. It is very soft, made of a sponge-like absorbent material that keeps the feet warm and protects them from floor infections like athlete's foot. The bottom side sole is slip resistant, making it useful also for environments where slipping and falling could present a danger, such as offices that use gels, creams or other oily liquids during procedures. One size fits all, up to EU 42 (UK 8-9). New option, two styles available: either open or closed toed ends.